To explore evidence-based programs and strategies–such as motivational interviewing, harm reduction, stages of change–that incorporate health promotion and behavior change, to address preventing diabetes in adults. 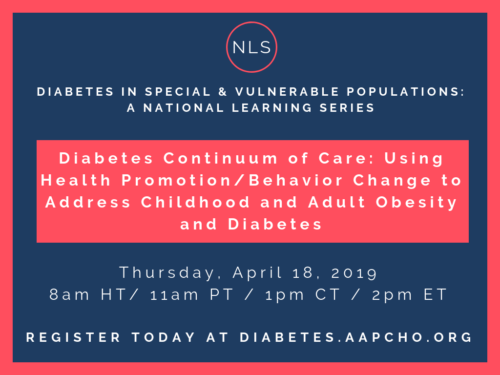 To explore evidence-based programs and strategies that incorporate health promotion and behavior change, for families with children at-risk for diabetes. To discuss promising practices that promote healthy habits. To identify challenges in addressing nutrition and physical activity in children and adults of special and vulnerable populations, such as those experiencing homelessness and farmworkers.